Every activity requires proper understanding. Cycling is one of the events that people tend to get more understanding and improve their skills. There are different cycling styles which becomes essential for people to understand. It, therefore, calls for reliable books authored by experts. With this, it guarantees proper and great information hence boosting your biking experience. Apart from having one source of information, it is advisable to read multiple books to sharpen your skills. The vast collection of books available on the market leaves people confused about which will make them great cyclists. A good book will always address your burning questions. Also, it should be able to solve the problem at hand. With all levels of cycling books available, it becomes easy to have the ideal one to improve your cycling without a hassle. Additionally, the more information a book has, the more you can enjoy a variety of cycling experiences and styles. If you love new ideas, here are the top 10 best cycling books to read. 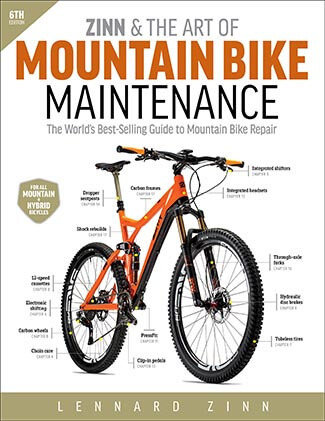 Are you looking for the best guide to bikes maintenance? 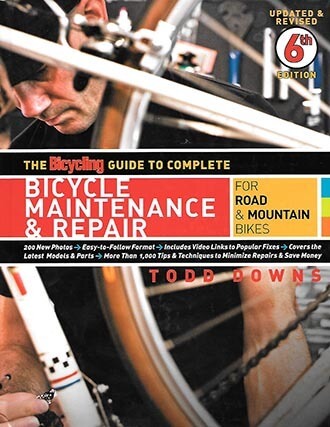 The complete guide to bicycle maintenance written by Todd Downs has the basic stuff you need for easy bike repair. It features simple instructions, classic examples and detailed information on various materials. Unlike other repair books, this one avoids fluff and sticks to the point. Besides, the illustrations use pictures to make everything vivid. In fact, every complex example is simplified by step by step pictorial illustration. Every part of mountain and road bikes is clearly explained. So, following every step is easier. However, one needs to understand the basic terminologies in bike repair. Otherwise, it is a great book yet so much affordable. Lenard Zinn, one of the world’s experts on bikes repair brings you a simple to follow guide. It entails every part of mountain bikes repair work. The book explains simple maintenance such as repairing flat and goes further to explain the repair work for overhauls of brakes and drive trains. The books feature a two-color interior. Thus, it is very easy to read even in a dim garage. Well, he subdivides the content of the book into topics such as emergency repairs, basics, gear shifting, overhauls, new tech, wheels, and troubleshooting. Therefore, the book not only shows you how to perform repairs but also to know whether you’ve done the right thing. The long-time technical writer for VeloNews brings a beast of a book. 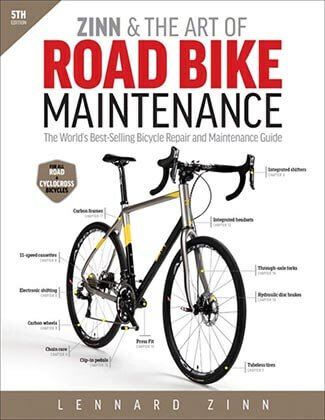 It is a classic guide to the art of road bike maintenance. It features a detailed explanation and offers more than one method of repairing bikes components. Due to its professionally written content, this book is regarded as a bible for both amateur and pro wrenches. Besides, he organizes contents to help you repair new and old bikes without any hassles. The book maintains that today’s bikes are a complex machine which requires professional handling. Ranging from basic tasks such as repairing a flat to the advanced overhauls of brakes and drivetrains, this stepwise guide is the tool your newbie needs. Also, he touches on the main difference in diagnosing various challenges on road bikes versus mountain bikes. Equally, the writer has prepared a troubleshooting part to ensure what you do becomes a success. This bicycling book entails a strength based training program focused on increasing athletic longevity, cycling speed, and overall strength. This is a great cycling book that enlightens you on endurance for long distances riding by adding power strength and training. Though this book, the author opposes the traditional notion that extra muscle weights slows the rider’s speed. 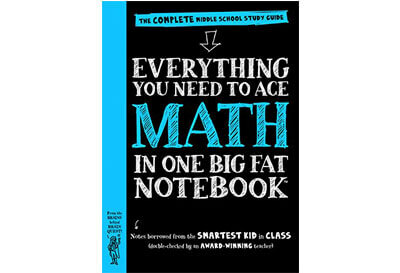 This book clearly shows that the opposite is quite true. 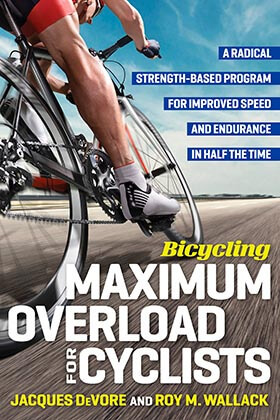 Well, the maximum overload program uses weightlifting to build enough power for speed and sustainability. The overload workout is done once or twice a week. In short, the author says that this program can replace a long day cycling training on the saddle and lead to better results. Are you a no Sunday pedal pusher looking for the best cycling tips? Well, this book written by Robert Penn is ideal for beginners and pro riders. The book covers more than his story for his hunt for cycling perfection. Through his professional writing, he covers the culture, science, and origin of the bicycle. Apart from covering the technical innovation, his writing also captures colorful and breathtaking stories of great people who ride. 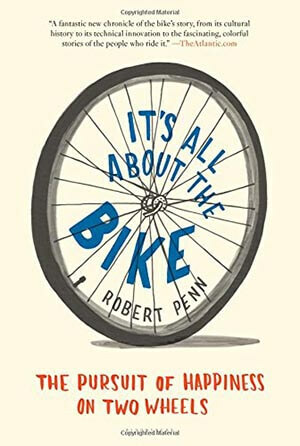 With insight and humor, Penn explains and examines the historical, cultural and social significance of the two-wheeled vehicle. Moreover, the author approaches the subject in humor and authoritative intelligence as he prepares to find himself a new bicycle. For humor and detailed information of riding perfection, Penn’s book is one of the best. Cycling seems to be easy. Well, it is easy but perfecting it is extremely hard. The author Michael Carabetta provides an insightful explanation of how to ride safely and efficiently. He explains that over centuries, the connection between people and bikes has tremendously grown. This kind of passion and connectivity has driven people to become explorers, thinkers, and innovators. 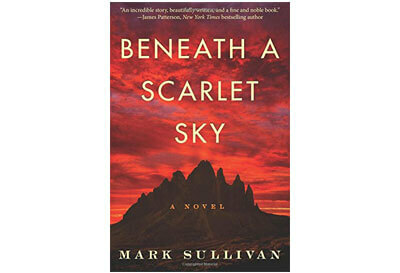 In fact, the book mentions Susan B. Anthony and Mark Twain, Eddy Merckx and other personalities. 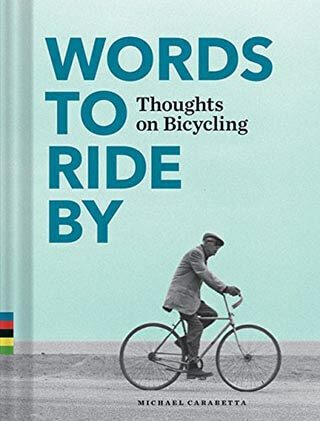 The author also captures some important bits on philosophical thoughts on cycling by writes and riders. 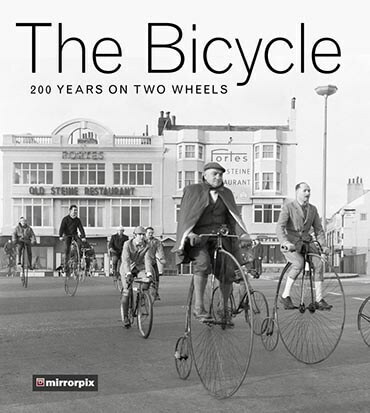 In this cycling book, the author takes us 200 years back. This is the time when Baron Karl Drais introduced the first self-propelled two-wheeled vehicles. Through his writing, he explains that innovation has currently democratized the same concept and has become a popular means of transport. Well, going back through history, he tells us that the mechanically powered velocipede made the first move in 1860. However, the real riding came in 19 century, as people continued to relish the freedom and convenience brought by the bicycle. Well, this was an affordable means of transport for all people both men and women. Two centuries after, bicycling has become a worldwide phenomenon in professional and non-professional categories. 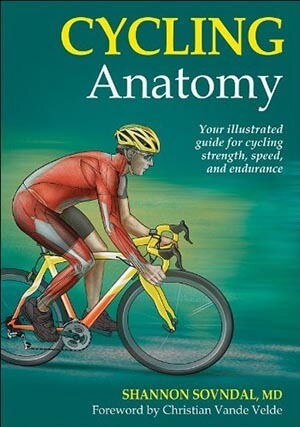 As the book title vividly states, you can now learn the anatomy involved in cycling. The author explains the requirements for increasing biking speed, power as well as endurance. By increasing muscle strength and enhancing the efficiency of every movement, you can perfect the art of cycling in little time. 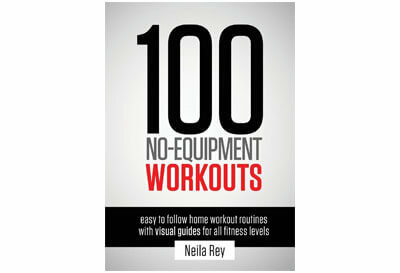 The book takes the reader through a total of 74 most effective cycling exercises. The best part of this book is that it uses full-color illustrations and stepwise descriptions. He explains how to perfect riding on steep and slick terrains. Also, in this book, you’ll learn how to perfect and modify various exercises targeting specific areas. 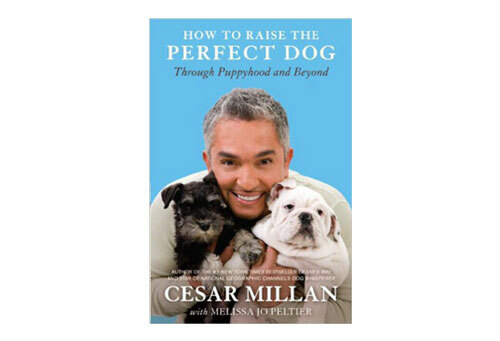 Additionally, the book teaches you how to develop training based on your needs and aspirations. Finding the best cycling training guide isn’t that easy. However, Dennis Bailey through his book tells us that riding like a pro requires dedication. He explains some important tips such as getting to know your bike, setting a repair area, how to keep the bike in good-working order and how to handle advanced repairs. Also, the book vividly explains what you can repair and what you cannot. 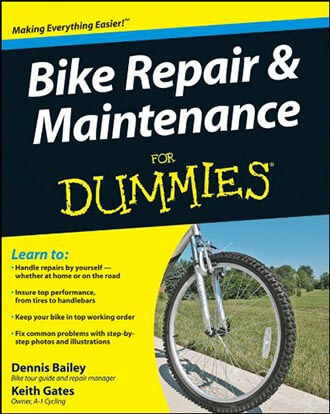 As an added advice, this book tells you the common monthly and annual bike repair. Moreover, he covers topics that tell the readers on how to improve riding comfort as well as safety. 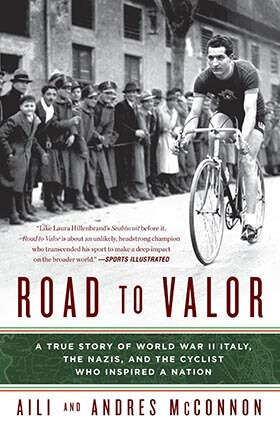 This book covers the cycling story of Gino Bartali. This was a cycling legend in Italy during the times of world war two. This book explains the dangerous activities undertaken by this legend. For instance, he undertook very dangerous activities in smuggling documents in his bikes frame and sheltering a family of Jews. This is one of the best cycling books that covers breathtaking histories of the legend of all times. When the grueling wartime was over, this chain-smoking 34-year-old came back to win the Tour de France in 1948. This was an inspiring and breathtaking performance which also helped reunite his fractured nation. In short, this is an epic tale of resilience, courage, and redemption. Simply, it covers the untold stories of great athletes of the 20th century.